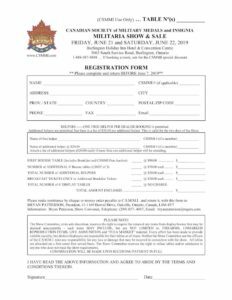 Tables for the 2019 Militaria Show & Sale are now all rented. For those wishing to participate, please contact Bryan Patterson and ask to be placed on a waiting list. Thank you. 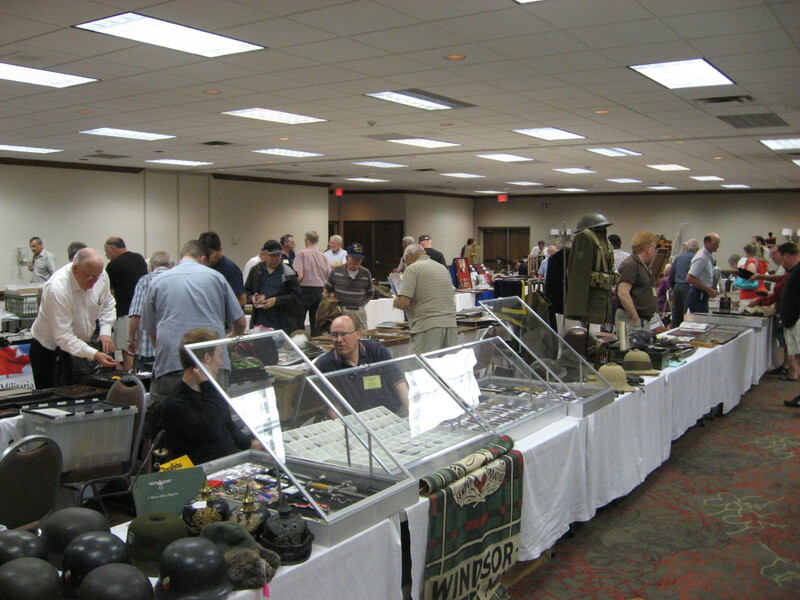 The 2019 2-Day Annual Militaria Show & Sale will once again feature 80+ tables. 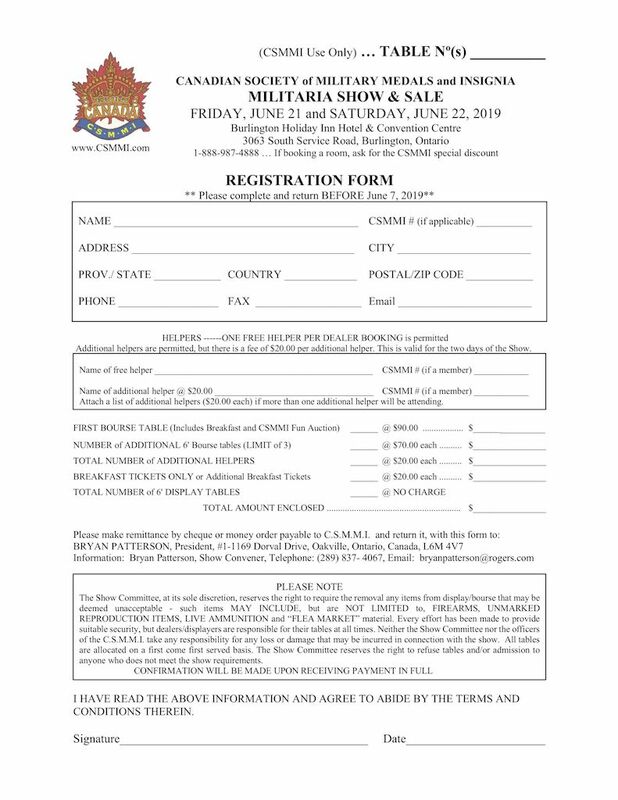 Leading dealers from Manitoba, Ontario, Quebec, Newfoundland and the USA are now confirmed and will be in attendance. 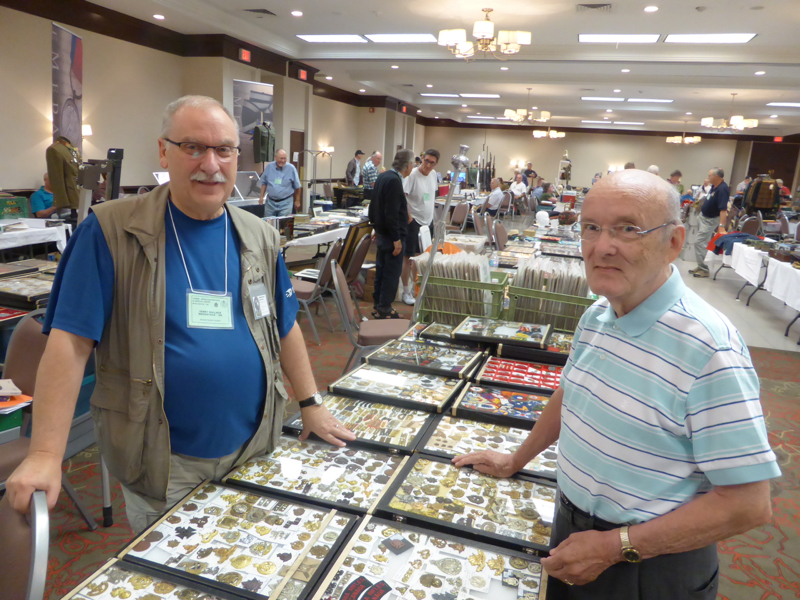 It's confirmed over 34 different vendors will be at the annual show. 24 of these vendors are different from our monthly shows. The show will also see 4 vendors who have never been at this show. The Jeffrey Hoare Military Auction set for June 22, 2019 is also expected to increase attendance to the show as it did last year. Anyone interested in a table for this show is invited to contact Bryan Patterson, Convention Chairman at (289) 837-4067 or bryanpatterson@rogers.com . See registration form for details.